Richard Irwin (Belper, United Kingdom) on 17 March 2009 in Plant & Nature. The purple crocus's are at their best this week. My other half planted loads of bulbs last year, and now we have them all over the garden. Stunning macro, lovely colours and details. Excellent flower shot, you've pintpointed the focus perfectly. Pin sharp photo, great job. Perfectly done. wow, what a precious image. wow.. wonderful macro! Purple and orange complement each other very well in this beautiful shot! Vivid colors...fabulous detail! Great work! Precision focus and excellent color. Awesone, lovely and fresh ! Great colors and very sharp. Great work. Absolutely gorgeous macro...that purple is incredible! Stunning. Absolutely beautiful. Awesome colors and detail. So perfect Richard. Fantastic dof and perfect color. Brilliant shot Richard. I agree, wonderful focus point and spot on. Nicely done, indeed. beautiful. it seems lit from within. @grant: A mixture of daylight and a bit of diffused flash from my Nikon SB800 fired indirectly. 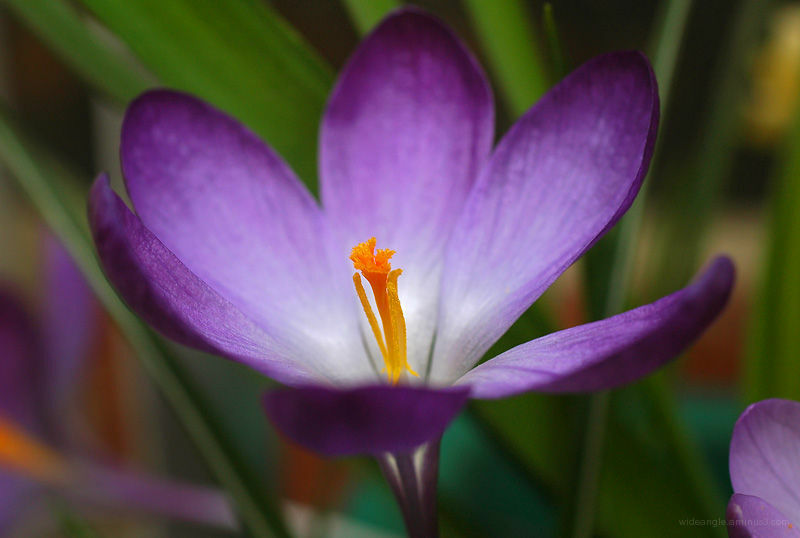 Outstanding shot of this 'luminous' crocus, a lovely floral image. Needs strong nerves to focus there ! anyway it's a great idea.